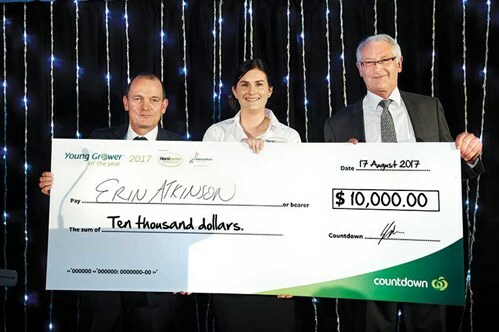 Erin Atkinson became the first woman to win Young Grower of the Year in the competition’s 11-year history when she took out the horticulture industry’s ultimate title in Christchurch recently. Run by Horticulture New Zealand and partners, the Young Grower competition series aims to recognise the best young grower in the country and foster best practice and leadership within the industry. 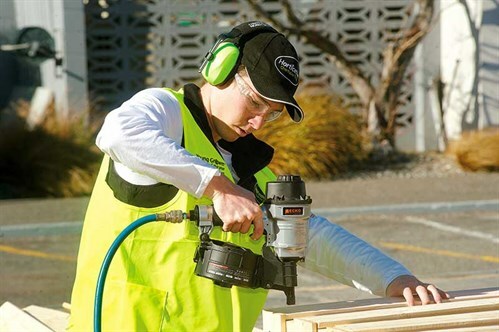 The competition boasts a $12,000 prize pool and the winner goes on to compete for their share of $40,000 in prizes at the Young Horticulturist of the Year competition that will be held on 15 and 16 November in Auckland this year. Run over two days, the Young Grower of the Year competition tests contestants in both business and practical activities. 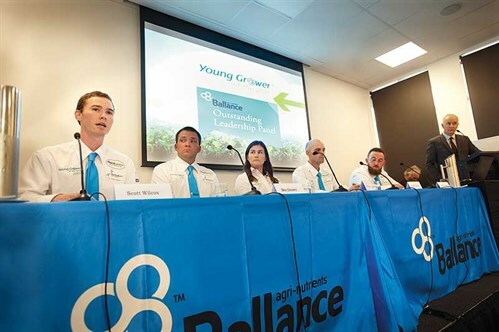 They take part in the Ballance Agri-Nutrients Leadership Panel, giving their views on a contemporary leadership issue and make their final bid with a speech at the awards dinner in front of a large crowd of fellow horticulture industry leaders, family, and friends. Contestants must be working full time in the fruit or vegetable industry and be 30 years of age or under. Finalists are made up of the winners of the four regional Young Fruit Grower competitions and the Young Vegetable Grower winner. Erin, a technical advisor for Apata Group in Te Puke, won the Bay of Plenty Young Fruit Grower competition to secure her place in the final against Scott Wilcox, Ben Geaney, Ralph Bastian, and Jordon James. She certainly made an impression, taking out best business, best innovation, and best speech titles as well as being the overall Young Grower of the Year winner. Scott Wilcox of Pukekohe was the runner-up, while third place went to Ben Geaney of Waimate. 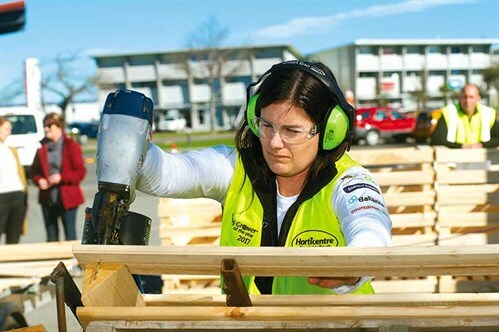 ot so much focused on her gender, Erin says the competition was an opportunity to push herself and to do something she feels strongly about – promote horticulture to people outside the industry. She is committed to going into schools and telling students why a career in horticulture is a great choice. For her, inspiration came from a high school teacher in Pukekohe, who was passionate about the merits of agriculture and horticulture. And a field trip to one of the teacher’s former pupils’ a horticulture business sealed the deal. Erin graduated from Massey University in 2007 with a Bachelor of Science (horticulture) and after working her way through various jobs in New Zealand and Europe, she landed in Te Puke. Her job at Apata Group, a specialist service provider for New Zealand kiwi fruit and avocado growers, includes responsibility for health and safety, orchard management, helping manage the harvest, and communicating with growers about the application of research and science. 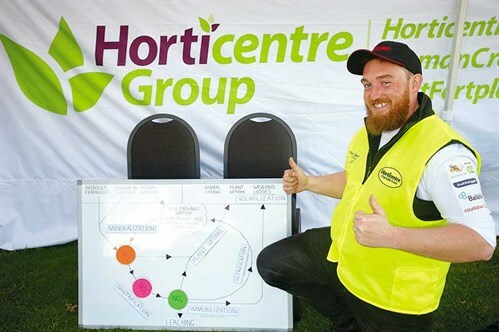 Spreading the word about the many career paths in horticulture is essential at a time when the industry is growing fast and projections are there will be a shortage of workers to match that growth. Horticulture is a $5.6 billion industry employing about 60,000 people in New Zealand. With an export focus – $3.4 billion is export earnings – there are all sorts of exciting career opportunities. These range from working directly with the produce from the field, all the way through to sending it off to be sold in New Zealand and offshore, understanding pest and disease management, getting involved in management of natural resources and the environment, and sales and marketing in the 124 export markets buying our fruit and vegetables. Kiwi fruit and apples are the horticulture export stars, but there’s also impressive export growth for cherries, avocados, and some vegetables such as onions. The Young Grower of the Year competition opens all sorts of doors with networking opportunities and ‘alumni’ are the industry’s future leaders. Judges look for individuals who can make a difference in their sectors and the industry and in addition to technical skills also show great leadership, attitude, and personality. Horticulture New Zealand chief executive Mike Chapman says it’s important to foster excellence among young growers, help them develop their career path, and future-proof the industry by retaining talent. "Horticulture is a rewarding industry to be in, so it’s encouraging to see the depth of talent demonstrated in this competition. We look forward to following the career progression of each of these talented young people," Mike says. "Horticulture is very much a career," Erin says. "I am learning all the time and the Young Grower competition has helped me pick up a couple of scholarships to further my career development." Main sponsors are Horticentre Charitable Trust, Countdown, Ballance Agri-Nutrients, Fruitfed Supplies, and South Pacific Seeds (SPS). Support sponsors are Radfords Software, Farmlands Co-operative, Massey University, Potatoes New Zealand, T&G, FMG, Meridian, Rabobank, NZ Hothouse, Trimax Mowing Systems, and Syngenta.